Hi, I am Star and I guess the very beginning of my journey I don’t quite remember due to my very full life. I first embarked on a course set up by the lovely ladies from the Family Learning Team in Wiltshire, very much needed at the time, called Time 4 U, and have never looked back. They had inspired something in me: not just to go forward but to help other parent carers succeed in a brighter achievable future. Having set a group up, I needed to do something different to all other groups that seemed to be going stale. I do believe without the support of Lucinda and her lovely tutors, I would never have achieved being here writing this. They saw something in me too. After attending several more courses, I became so positive in achieving greater things. I then entered employment after enrolling on my third course. Sadly my life and health took a turn for the worst, but this did not stop me continuing my learning. 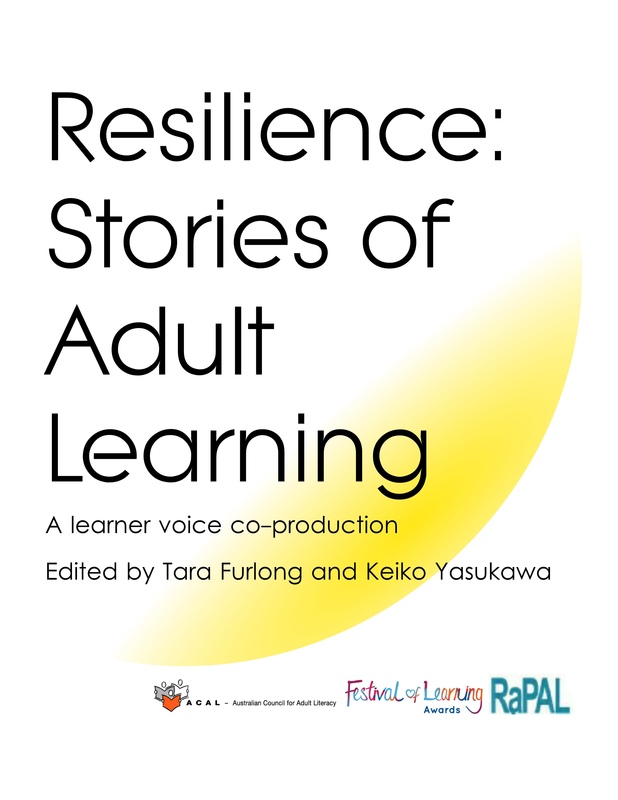 I spent a long time also with my parent carers on so much negativity that it has been amazing to put some fantastic positive learning in the mix to filter through and ignite that spark we all have. I feel very proud of my mums, dads and grandparents who share my journey and who are taking my lead and changing their future. Words simply cannot explain how that feels. I have carers who have anxieties, socialising issues to name a few, and they pushed harder than they have before. I am so very proud of all of them. This is still the beginning of my journey but my path has changed. I always feel sad to complete a course as today we have all completed our SEAL course. It always leaves me thirsty for more and the lovely team here in Wiltshire keep a tight hold of us and have some amazing courses in the new year for us all. Life and learning stops with you, reach out and take it by both horns and give it some welly. Star, 37, lives in Wiltshire. She is a single mother and has two children. Three years ago in 2012, she started a carers’ group aimed at supporting families who have children with special educational needs. The group, which began with five members, now has fifty families and it is growing from strength to strength. Star promotes adult learning; both formal and informal. Her passion and belief in improving lives through learning has developed from an often difficult path. Star experienced family domestic violence and was a heroin addict. She became estranged from her Cornish family. In 2005 she made the decision to build bridges with her family and to turn her life around. She attended a rehabilitation project and underwent CBT (Cognitive Behavioural Therapy) for a year. Her return to Cornwall led her to supporting vulnerable women; prolific offenders who were involved with repeated petty crimes. She trained the groups to be volunteers, supporting their local community. Her vision to support others stayed with her when she became a mum. Having moved to Wiltshire, Star then found herself in a challenging partnership which has resulted in her being a single parent. Her daughter was born in 2008 and was diagnosed with ADHD, autism, a sensory processing disorder and PDA (pathological demand avoidance). Her son, born in 2009, was diagnosed with autism, low muscle tones and no spatial awareness. Both children have sleep disorders. The diagnosis of her children’s conditions was a catalyst for change for Star. It was the birth of her son that started her determined journey to support other families. 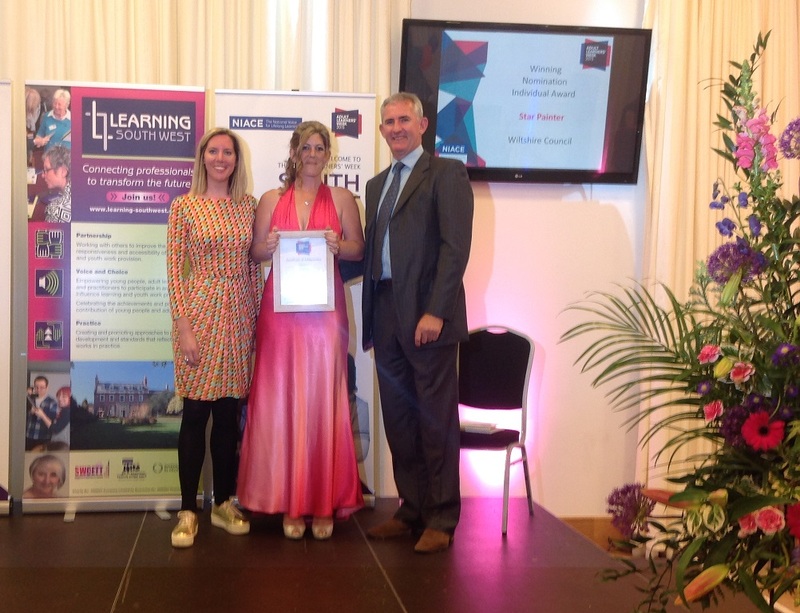 Star was nominated for an Adult Learners’ Week (now Festival of Learning) award 2015 because she is a committed learner, a great ambassador for encouraging others to either return to learning or engage for the first time. Her personal progress bears little weight for her as her intention is to support others. During the past three years, Star has attended five Wiltshire Council community learning programmes and a workshop: Time 4 U, Budgets and Bargains, Cooking from Scratch, Family SEAL, an outdoors activity course and a family Circus Skills workshop. As part of the Cooking from Scratch programme, she has achieved the RSPH level 2 Award in Healthier Food and Special Diets. The carers’ group has been running for three years and meets fortnightly. There is no screening for joining the group. Star ensures that the group is supportive to the families who attend as they are all aware of the demands that children who have similar conditions need. She also understands the pressures for families who have children with complex needs. The group is growing owing to Star’s constant energy to ensure that families do not feel isolated. She is also actively engaging with other support networks to ensure that the members of the group receive relevant and appropriate information. Star has been an important link for the Wiltshire Council Community Learning team. Initially, a Time 4 U course was organised for her group which was well attended owing to Star’s persistence in encouraging the group to join. The group were apprehensive to enrol owing to having been out of learning for some time and had few or low qualifications. She helped with transport and became a link between the programme and the group. After the Time 4 U programme, she was determined to keep the learning going for the group. They identified a need for budgeting, as some of the learners receive benefits, so they ran Budgets and Bargains as a follow on course. Again, Star encouraged the group to attend. An opportunity arose to run a circus skills holiday activity in her area; Star advised about an appropriate venue which the families could access and she encouraged her group to attend. Star understood that the group needed some advice about cooking meals from scratch. They cooked together using their budgeting skills and created healthy, family meals. The course had embedded learning about nutrition so the group took the level 2 Award in Healthier Food and Special Diets. It is evident that Star has been key for the group to both access and continue to learn together. She constantly uses social media, phone calls, cups of coffee, offers a listening ear to reassure others that they don’t have to feel isolated. She understands that if families have children with special educational needs, other families may not be keen to socialise. Star could not access an appropriate school place for her daughter for fifteen months. Without any local family help, this could have resulted in Star having to save her energy to manage at home. However, this created stronger links with the group. Her positive determination has enabled families to both learn and share separate time, away from home, in a supportive environment. Some of the group are now accessing Open University courses. The group will shortly gain charity status. What is Star’s advice to others?